Anyone out to buy or refinance a home this month will find that current mortgage rates have fallen slightly since this time last month. That means it's best to shop for a mortgage now, while mortgage rates are still historically low. 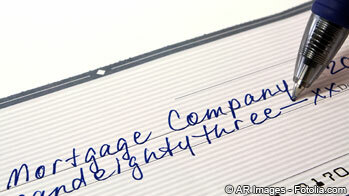 The average interest rate on a conventional 30-year fixed-rate home loan is 4.29%. Remember, that's the average cost of financing a home. Savvy borrowers with decent credit can almost always pay a quarter to half of a point less. Spend a few minutes searching our extensive database for the best current mortgage rates from dozens of lenders in your area. You'll see what we mean. A report from the Consumer Financial Protection Bureau found that nearly half of Americans seriously consider only one lender or broker before applying for a mortgage. And about 75% fill out an application with only one lender. We need to be doing more comparison shopping than that, especially when interest rates begin to rise. Comparison shopping for a great rate can save you thousands — hundreds of thousands in some cases — over the life of the loan. RATE SEARCH: Compare the best mortgage rates. 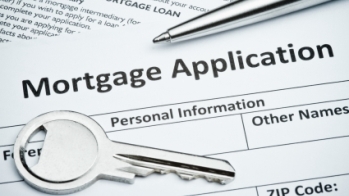 Right after you apply for a mortgage, you'll receive a new form called a Loan Estimate. It was designed by the Consumer Financial Protection Bureau to be an easier-to-understand replacement for the lender-created Good Faith Estimates borrowers had been receiving. It explains the key terms, from interest rates to closing costs, and ensures you're getting the home loan your lender promised. Even though mortgage rates were expected to rise last year, that wasn't quite the case. While we've seen mortgage rates inch up, it hasn't been the drastic climb that some expected. The average 30-year fixed-rate mortgage hit 5.10% in November 2018, the highest rate we've seen in years. But it has fallen to just 4.29% today. Dodging these pitfalls will make you a happier homebuyer now and more satisfied homeowner down the road. You'll know that you got the best possible mortgage and won't be overwhelmed by unexpected costs. In addition, home loans are becoming easier to get. Homebuyers who qualified for conventional loans had an average FICO credit score of 763 in 2012, according to Ellie Mae. By 2015, that had fallen to 754. And in February 2019 it sat at 751. The average FICO score for homeowners who refinanced through a conventional loan was 748 at the end of 2012. In February 2019, it was just 735. FHA loans clearly helped borrowers with too much debt and lower credit scores. 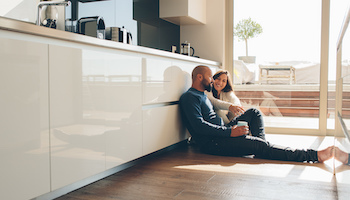 The average FICO score for those homebuyers has fallen from 718 at the end of 2012 to 675 in February 2019 for a purchase, 663 for a refinance. Those are exactly the kinds of trends that help borrowers land the loans they need. RATE SEARCH: Shop the best mortgage rates.